Each product review can be broken down into these criteria. At WorkWhileWalking & WorkWhileStanding, we pride ourselves in having earned a reputation for conducting the most detailed, in-depth product reviews in the office fitness industry. Our reviews are based on a comprehensive list of criteria, each of which is scored from one to five stars, and all of which combine into a single Experts’ Rating. Note that not all criteria are applicable to all products. In cases where we do not have enough data, or where a criterion is not applicable, we leave the criterion in question out of our review. It does not contribute to the Expert Rating of that product. To gather data for these ratings we combine our review team’s experience with user reviews posted online (both on our own sites and 3rd party websites) by verifiable owners of that product. We will often survey other knowledgeable people in the industry, including other ergonomics or office fitness products resellers who have had experience the product. Most importantly, whenever possible we test the products ourselves, which may include measurements such as decibel levels, power consumption, vibrations and oscillations, or surface resistance to scratches, dings and chemicals. In addition, we will often “live” with the product for weeks or months—or in some cases, such as with standing mats, for more than a year. Where assembly of a product may appear to be complicated, we will video tape the entire process of unboxing and assembling the product so that potential buyers can get a sense of what it will be like to receive and install the unit. 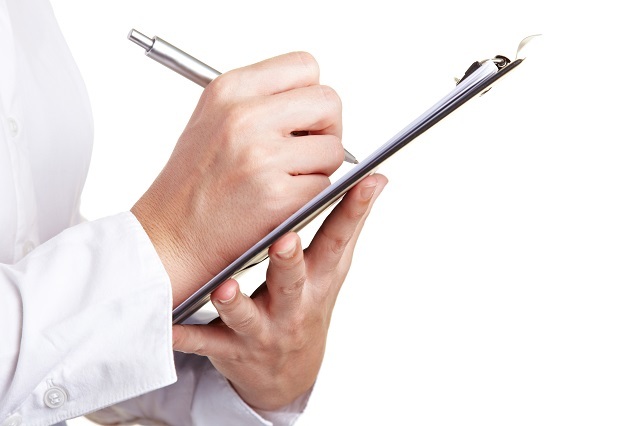 In instances where we cannot obtain an evaluation sample from the manufacturer, we will indicate that the review is “forensic,” meaning that we gathered as much information as we could from seeing the product at a tradeshow, reading what users have written about it, and vetting information provided by the manufacturer in their own marketing literature and website. All adjustable products—whether they’re stand up desks, sit stand workstations, or monitor arms— have joints or linear actuators, which means they are inherently susceptible to some degree of instability. A product’s stability rating indicates how well a product can stay still during use. It’s a quality that few manufacturers tout in their marketing, but all users notice when they start working. High stability translates to a more pleasant user experience, so wobbly products will score lower than more rock-solid counterparts. This should be a no-brainer: Products should be safe for the user and his or her equipment. You’d be surprised how often we encounter products that risk injuring a user or damaging their laptop. Products that specifically address safety concerns earn a higher score than products that are liable to cause havoc if you let your guard down around them. Monitor arms should attach solidly to your desk, stand up desks and desktop workstations shouldn’t become “tippy” if they are heavily loaded in the front or back, and treadmills should have wide rails for you to stand on while the belt runs; to name a few examples. When evaluating products for which UL, ANSI/BIFMA or another testing lab has a standard for certification, we will evaluate those products based on current certification standards, not what the prior standards might have been at the time of their original certification. Reliability measures how well a product performs over its expected lifespan. As you would expect, adjustable height furniture has a higher propensity to fail compared to their fixed-height counterparts—what with their motors, gears, and other moving parts. We evaluate a product’s reliability based on our laboratory testing and long-duration testing in actual use with our staff members. When we do not have a physical sample to test in our own facility, we will rely heavily on verifiable-buyers’ user reports to paint a picture for us, as well as input from SitLess.com and their customers’ reactions to products in their Bellevue Showroom. Over the years there have been instances where consistent user reports of a product’s insufficiency – or a vendor’s success in resolving a previously reported issue – have caused us to revise our reviews and our Experts’ Ratings. When we do so we make note of the revision in our currently published review. This is usually treated as an afterthought, but it’s not enough for manufacturers to simply have a good product: The buying process must itself satisfy consumers’ expectations. We evaluate a product’s warranty and packaging, as well as the manufacturer’s shipping policies and customer service reputation. Manufacturers who don’t communicate well with their customers or follow through with their shipping schedules will get a reduced score. A piece of furniture can be both practical and beautiful. While we won’t necessarily evaluate specific colors or designs, we much prefer products that offer a wide array of options. While functionality is imperative, the ability to match customers’ office décor is a highly considered factor. If a desk’s finish risks delaminating over time, is difficult to write on, or gets scratched easily, we will note such things in our reviews. In many cases we’ll also share what we’ve been able to learn about the environmental sensibility of the product, both in terms of materials used and recyclability of that product at the end of its life cycle. Whether you’re using a stand up desk, a sit stand workstation, or a treadmill desk, your equipment should allow you to work in as ergonomic a position as possible (check out our Ergonomics section to learn exactly what this means). Peripherals that are purposefully designed with ergonomics in mind should offer a wide range of adjustability so users can customize their wrist, neck and shoulder ergonomics. 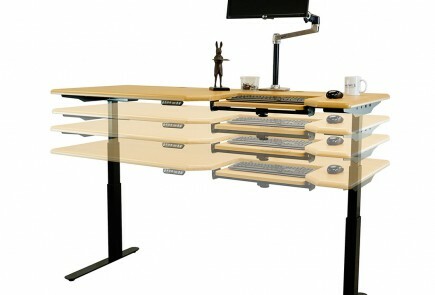 Desks and sit stand workstations should be able to support ergonomic accessories like monitor arms and keyboard trays. 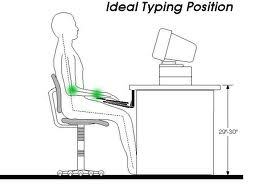 The more features a product has that allow you to achieve an ergonomically-healthy position, the higher it scores. What those features are differs between categories. As an example, monitor arms score higher for having larger vertical and horizontal adjustment ranges. Desks that reach higher and have features like rounded, “ergo-contoured” edges score higher. The world of ergonomic office products and office fitness equipment is constantly evolving, sometimes in small steps, sometimes in great leaps. Products that introduce exciting new features, exceed the capabilities of their predecessors, or push the envelope in some way help the industry progress, and merit “extra credit” in our review scores. Let’s face it: Outfitting a home or office—particularly with large pieces of furniture—can rack up a hefty price tag. Before you make such an investment, you naturally want to make sure you’re getting your money’s worth. When we evaluate a product we look at its price and compare it to similar products with similar features. The products that manage to cost less without compromising on features or quality score higher. While you may expect more expensive pieces of equipment to perform better than lower-priced offerings, that isn’t always the case. The best way to ensure a good deal on your next purchase is by checking out our comparison guides, to see how these products stack up against each other. One of our main goals is to educate people on the benefits of treadmill desking and help them figure out the best way to start. 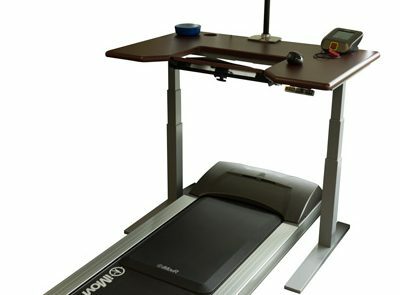 In addition to analyzing a product’s individual merits, we also evaluate it in the context of a treadmill desk workstation. The needs of a treadmill desk user are similar, but not the same as the needs of a standing desk user. For example, the ANSI/BIFMA height standard for adjustable height desks is 48″. Many desks are designed to reach this high and no more. While it is enough for most users of standing desks, a height ceiling of 48” is too low for many people when you factor in the extra 5 to 6 inches of a treadmill. Since many users buy a standing desk first, retaining the option of adding an office treadmill someday in the future, we test every desk for its suitability for the latter application.